McDonald’s campaign featuring a suburban dad as a Hamburglar in contrast to a character from the television series in 2002, has created a controversy on social media that can be best compared to The Dress controversy that generated over 16 Million views with #TheDress being the trending topic overnight. 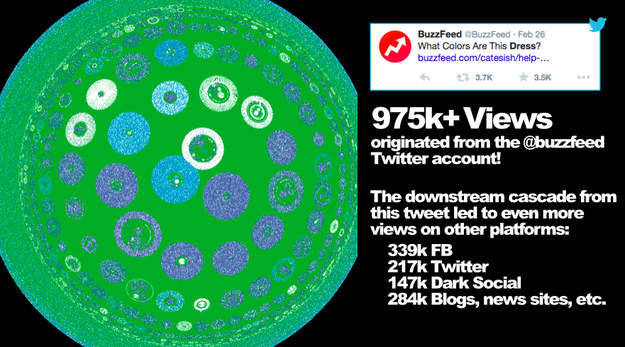 The cascade effect from the BuzzFeed post for The Dress, as analyzed started with a Tweet and cascaded downstream on other social media channels with only a quarter of views originating from Twitter. Tweets posted about the dress were shared on other channels creating a cascade and buzz that created clusters of conversation. Content that sparks conversation has a positive effect in making your brand topical and salient in the content eco-system. Controversy can be an effective conversation starter as it engages audiences for words and topics that may be popular with your competitors’ fans and followers or in the content eco-system of your Target Audience. Thus, with a conversation that cascades with controversy helps your brand gain share of conversation within a content eco-system. The real-time track for McDonald’s hashtag RobbleRobble reveals over 4 Million Impressions with over 700 posts. As HootSuite recommends, track both your map and your competitor’s conversation map over time. Monitor for keywords and topics that are trending for your competition and helping them stir the conversation. McDonald’s campaign has stirred a controversy with the Hamburglar, who is a lot slimmer than the character who was last seen as a pudgy cartoon character in 2002, but appears to be a suburban dad in a new ad, CNN reports. He has had “some time to grow up a bit and has been busy raising a family in the suburbs and his look has evolved over time,” a McDonald’s exec explains to Mashable. Brand Storytelling has stirred a controversy, with conversation being focused on his shoes to his looks and a possible profession. Get your content discovered by influencers. Focus on making the contrast evident that sparks a debate with your brands’ followers, leading to a downstream cascade as seen in the case of The Dress. 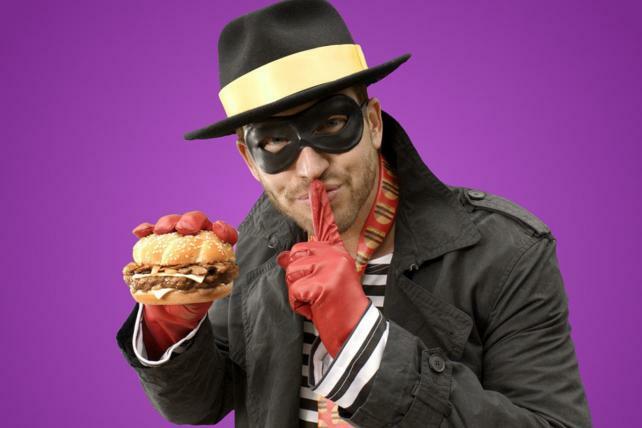 In this case the contrast is in the appearance of the Hamburglar ranging from being a Cyber-criminal to a Pro-wrestler. Seed the story in stages. The posts and the tweets build the story for McDonald’s with the story being revealed in a teaser format, with text cueing in suspense. “Wait, Is this who we think it is?? !” As you can see from the post the context s directed towards revealing the new character. Focus on the features and the conversation starters that are evident in the controversy, such as the color of the dress or as in this case the appearance of the character. In addition to the appearance that in itself has sparked a controversy with the dissonance caused by the transformation of the character from a loveable chubby cartoon to a hipster suburban character, McDonald’s has used cues that make the character look suspicious to make the contrast evident. Use the cascade effect by sharing content across channels to make your content easily available. As seen from the BuzzFeed “The Dress” post the content is not discovered on a single social media network but across networks. Controversy that appeals to a larger audience is likely to lead to greater engagement. As the Brands have an eco-system that revolves around the target, content eco-system revolves around genres. For your Brand Story to be discovered and shared across networks it has to be built around consumers’ content requirement that may range from entertainment to seeking more information. Identify the Genre that your content is best suited for and promote it with the influencers for the genre. 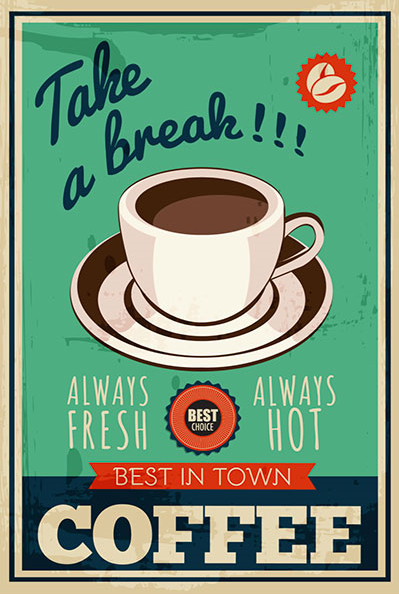 Posted in Advertising, Branded Content. Tagged Branded Content, Campaign, Content, Digital Trends.